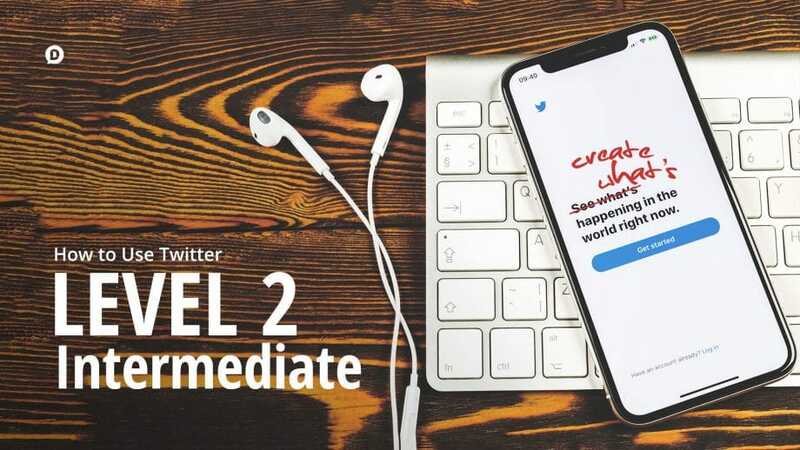 Have you been struggling with how to use Twitter effectively for your personal brand or business? If so, this post has everything covered for you, start to finish. Twitter is the epitome of the KISS strategy—keep it simple, stupid. Not that I’m labeling anyone “stupid,” but the social network does rather successfully force its users to do what most of the internet doesn’t: self-edit. With only 280 characters (yes, including spaces), you don’t have much liberty to hash out long-verse prose. I mean, sure, 280 characters is a leg up from its previous 140. And yes, now that Twitter has released a threaded tweets feature it’s easier to create a series of connected posts. But it still calls for users to think which points are pertinent, ponder syntax, and condense it all in one tweet. And with the social site boasting of 335 million monthly active users by Q2 2018, it would be remiss of your brand to pass over Twitter. Don’t know how to use Twitter? Feel like you’ve been underutilizing it? 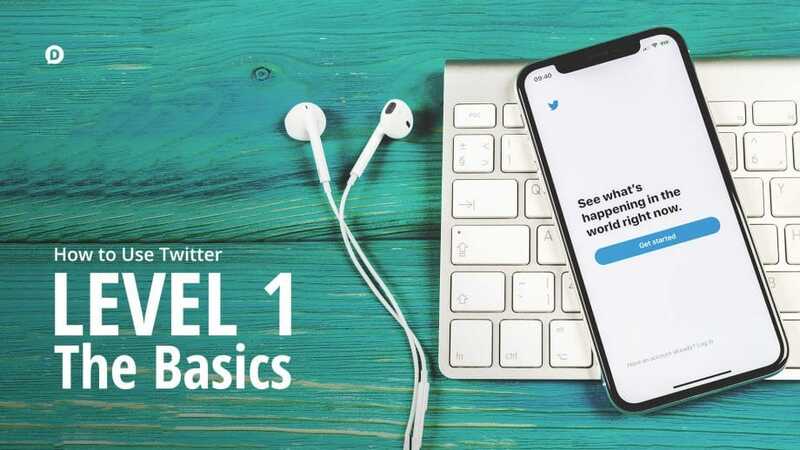 Whether you’re establishing your personal brand, promoting your company or organization, or just wanting to not look like a n00b tweeter, I believe you can benefit from incorporating the following best practices and be a step ahead of the average Twitter user. I’m going to break it down into three levels: Basics, Intermediate, and Advanced. Tweet – This is what they call your posts on Twitter. This word can be used as either a noun or a verb. Feed – This is where you see a stream of tweets from the accounts you follow. It’s mostly chronological with a bit of Twitter adding in things that you might find interesting that have been tweeted at an earlier time. Avatar – Another name for your “profile picture.” The ideal size for this is 1000px by 1000px. Header image – The photo that shows up at the top of your profile. The ideal size for your header image is 1500px by 500px. Follow – Basically, subscribing to someone’s tweets. When you follow someone, you will now see their tweets in your Feed. Unlike Facebook “friending” the other person does not need to approve or follow you back in return. This is one of the things that made Twitter so distinct in the beginning (before Facebook copied the feature). At-mention – An ‘at-mention’ is performed by placing the ‘@’ symbol in front of a person’s username. This signifies that you are speaking to or quoting the person designated after the ‘@’ symbol. When you do this, the user who is being named receives a notification that they have been ‘mentioned’. Quote of the day! RT @DustinWStout: Negative people are like dogs: they love rummaging through garbage and sniffing each other's rear ends. But now that they’ve made it a standard feature, a tweet that is retweeted will just look like every other tweet in the Feed. The difference is that if you’re not following the person who originally tweet it, you will see which of the people you’re following retweeted it, which is why you’re seeing it in your feed. Quote Tweet (a.k.a. retweet with comment) – From the old-fashioned way of using RTs, we now have QRTs. Instead of copying a tweet and then manually adding ‘RT’ before it, you can just use the Quote Tweet function, also available at the bottom of each tweet. This gives you a bit more room to add your own tweet in conjunction with the one you just quoted. DM – Short for Direct Message, this feature allows you to start having private conversations with a user or a group of users (provided that they allow it in their account settings). Like – Hitting the heart button under each tweet. You have a ‘Likes’ tab on your profile where you can see all the tweets you’ve liked before. Hashtag – The pound/number sign (#) used to be a keyboard character on old Nokia brick phones used to capitalize letters. Fast forward to Twitter, the # sign became ‘hashtag’ and is now used as a way to group similar topics together and make it easier for users to follow them. More on how to use hashtags properly in the content section. Now that you can decode Twitter-speak, here’s what you need to do next. It’s no longer the 1990’s, where people used random strings of obscure words and numbers to create their online alias. Nowadays it’s best to just use your name. Friends, family, fans, or potential clients will be looking for your name. Don’t make it hard for them to find you. Sure, you could debate how useful a “brand name” can be, but if you’re a person on social media as a person then use your person name. An accurate depiction of Twitter no0bs… and trolls. While Twitter no longer gives brand new users a default “Egg” profile picture, the impression of a no-photo account is pretty much the same. There is no better way to broadcast the fact that you are a n00b than to have a default profile picture. This is Twitter’s default image when the user hasn’t uploaded their own profile photo yet. You wouldn’t want to be mistaken for an illegitimate business or a troll, right? So, please, go and get an image of yourself. Even if it’s just something that vaguely represents or resembles you, make it your profile picture. Whip out your phone and take a good selfie. You can also use your logo if you like. It doesn’t have to be a professionally done photo. You’re not auditioning for a feature film here. You just need something there that represents you. Optimizing your profile doesn’t stop at photos. Your Twitter bio is an important piece of making a first impression. Humor works best on Twitter, so try to make your bio at least slightly entertaining. In fact, 78% of all Twitter users consider themselves to be the funniest person they know. I don’t care how much I love you if you are tweeting five times per minute and my entire Twitter stream is consumed by your tweets, no matter how inspiring or profound, I will likely unfollow you. If you are bombarding someone’s news feed with your banter, it will only be a matter of time before they either tune you out or flat out remove you. 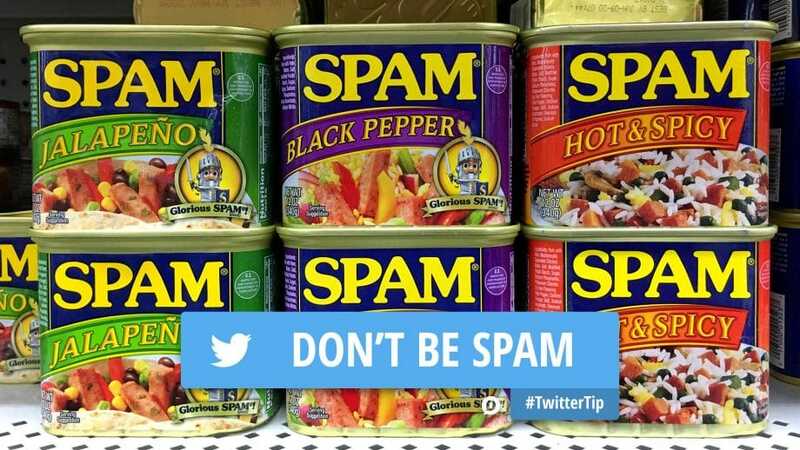 Know which type of content to send out and the ideal time to tweet them, so you can keep your followers from dropping the ax on your profile. 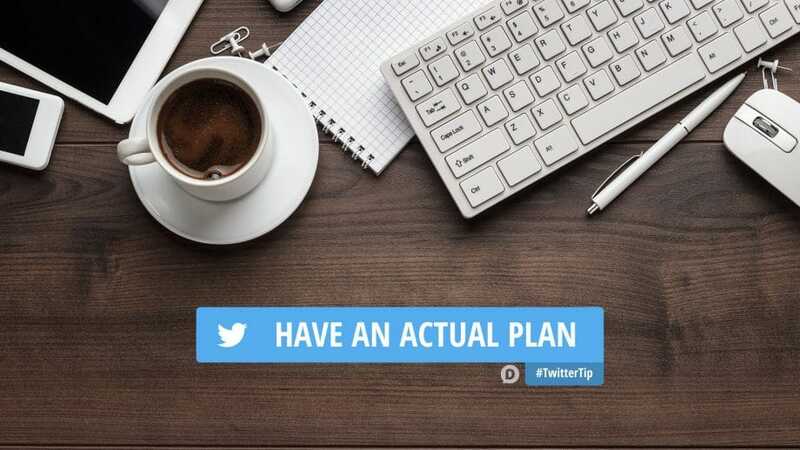 Use a social media scheduling tool to save yourself time, and spread out your tweets if you prefer to write tweets in bulk. Even though Twitter increased the limit to 280 characters, sometimes, it’s not enough especially when sharing links. 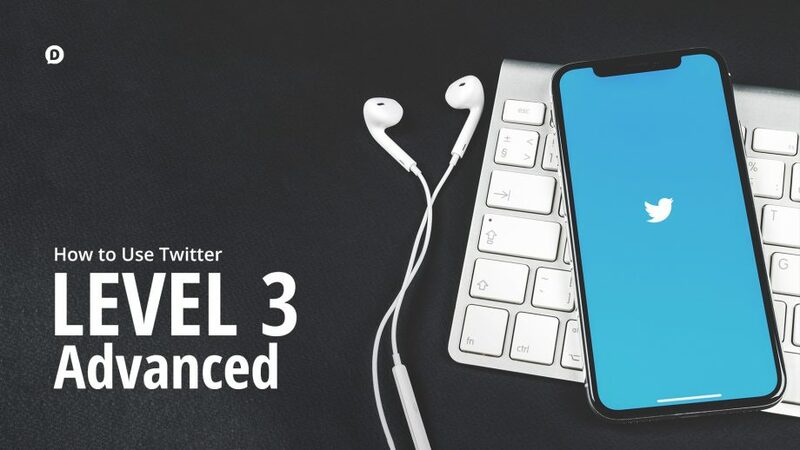 Yes, Twitter now automatically truncates URLs, but there are still a great number of benefits to your business if you decide to shorten your links using third-party apps. I talked about those here. So what are these link-shortening services available online that you can use for free? When you want to share a link to a website, blog, YouTube video, or the like, always use a link-shortening service like bit.ly, is.gd, or tiny.cc. That way, you will have more room to share what the link is about and you’ll look like you know what you’re doing. There’s actually a lot you can do with short URLs, so take some time and learn to use them right. When someone mentions you, respond. It’s that simple. If you want to monologue, theater is the place for you; not Twitter. Social media is called “social” media because you need to socialize. If all you plan on doing is broadcasting your message and not engaging with your audience, you should just do us a favor, stay off of Twitter. Even if you rack up thousands of followers, they won’t convert to paying customers if they feel like there’s a robot running your Twitter account (wait… is there?!). The only legit reason to not be replying to all your mentions is when you’ve joined the big leagues and you already have millions of followers and simply cannot keep up with all the mentions. Follower count is just a number. As a budding brand on Twitter, engagement is key to winning. If your customers tweet a complaint about your business, respond ASAP. And I mean go fast-and-furious all over that. Studies actually show that 42% of consumers who complain on social media expect a response within 60 minutes. So, chop chop! Recommended tool: Agorapulse can make sure you never miss a mention and give you one central inbox to gather all your social profile mentions, comments, and replies. Come on, don’t be that guy. Spoiling the end of each episode of Game of Thrones right after they air does not make you a star journalist. Remember, your audience followed you because they want to stay updated with your business; not to have someone rain on their parade. If you truly must do it (for some unfathomable reason), be considerate and add a #SPOILERALERT tag at the beginning. Trust me, some people take their TV shows very seriously, and if you ruin the surprise it’s as if you’ve kicked their puppy or something. This runs true anywhere on the internet, not just social media. Whether it’s a blog post or a funny tweet or an inspirational quote, don’t copy and paste. For one, the Retweet and the Quote Tweet buttons exist; use them. Secondly, the original author may track you down and raise a huge ruckus over the plagiarized tweet. And third, it’s just not cool, especially in the context of building a brand around your business. You wouldn’t want to lay the foundation of your online presence on a stolen tweet, right? Your followers—who are probably your current and future customers—do not want to know when you’re using the restroom, tying your shoe, or taking out your garbage. Unless of course it’s got some sort of entertainment value. A little personal touch on your tweets is great, as this will humanize your account more. But don’t go overboard. Want to know the kind of content that they’ll engage with? Keep reading this guide. Don’t get jealous because someone’s numbers are higher than yours. A large number of followers doesn’t necessarily mean anything. There are various ways to measure your success via the social sphere, but follower count isn’t one of them. You also need to look at, among others, engagement rate, and conversions (leads or actual sales). Metrics also vary depending on the kind of campaign you’re running. As far as retweets go, if you’re not getting as many as you would like, just write better tweets! Don’t let the green-eyed monster rear its ugly head. As my buddy Brian Fanzo says, you do you. Once you’ve got the basics down, it’s time for you to step up and begin to strategize a bit. This section is where we separate the casual Twitter users from the marketers. You’re going to learn to step back and think through some strategy and tactical application for your brand or business to thrive. In war, you can’t go in blindly. You need to know your mission and how you’re going to achieve it. Same goes for marketing. Define your goals (your mission) and your objectives (how you’re going to achieve it). To set goals and objectives, use the SMART framework—Specific, Measurable, Attainable, Relevant, and Timely. 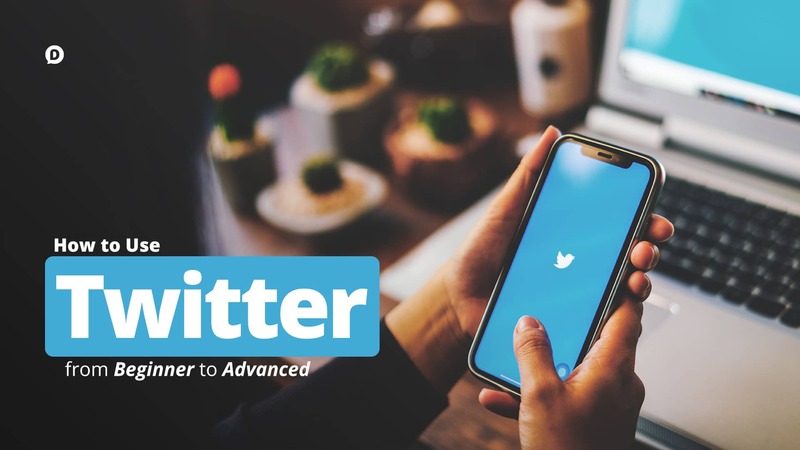 You can achieve a wide variety of goals on Twitter, some of which include increasing brand awareness, driving more website traffic, generating leads, or even generating sales. So, let’s say, you’re a startup owner. With that goal in mind, you can’t just say: I want to be as huge as Lady Gaga on Twitter! While I applaud you for your ambition, you’re only being vaguely specific (be as huge as Lady Gaga). Other than that, you’re missing almost all of the five characteristics of a SMART goal. Now, if we follow the SMART framework, you can then say: I will grow my Twitter following by 25 new followers per week. It’s specific (25 new followers), measurable (follower count), attainable (you’re not aiming for millions immediately), relevant (more followers mean more people will hear about your biz), and timely (per week). 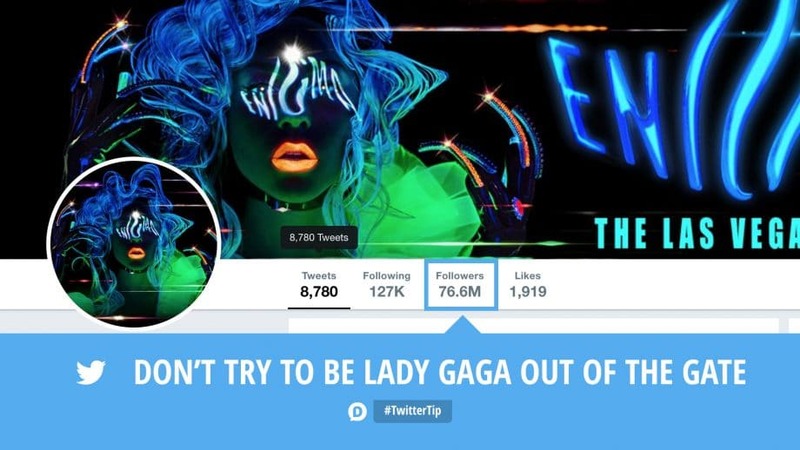 While it’s a far cry from Gaga’s 76 million followers, you’ve set a goal that your business will be able to realistically achieve. And you also have successfully set your first metric to measure! Your follower count. You should also look into increasing engagement rate, as well as how many of those followers went to your website (measure clicks with short URLs), purchased (track conversions in Google Analytics), or signed up to your email newsletter (also conversions in Google Analytics). In every marketing campaign, the key is knowing who your target audience is. Think about it: You can’t post maternity articles if your target audience consists of 60-year-old males who are about to retire. Likewise, a marketing manager would be more interested in SEO strategies than Justin Timberlake’s newest tour date. Well, maybe there’s a few marketing managers who are Justin Timberlake fans (like me), but I digress. Know who you are talking to. Create a customer persona (if you haven’t yet), and really get in their heads. Use Twitter’s Audience Insights and find out the demographic profile of your typical followers like buying style, gender, and interests. And no one likes pneumonia, trust me. During the process, it’s going to be so easy to have your biases show and create a narrative in your head that your competitor is probably gaming the system. That, or they have more money than you. Set those biases aside and really look at what they are doing right. But—and here’s a huge but—do not duplicate them. What works for them may not work for you. You can use them as inspiration, but it all boils down to strategies that will work for you and your target market. For both monitoring your key audience members or keeping track of competitors, you need to be utilizing Twitter Lists. Since I’ve already done a deep dive on Twitter Lists I won’t spend time on it here. Just read that article, and start using lists ASAP. 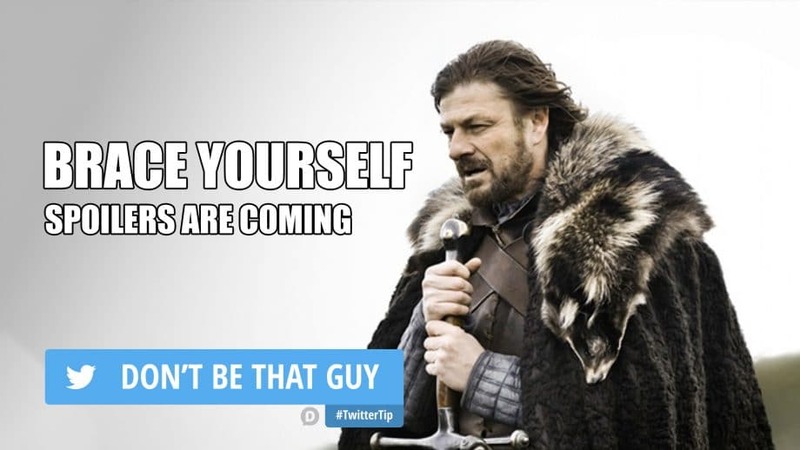 It’s relatively easy to reply to a DM or a mention, but once your account blows up, you need to be able to scale. Luckily, there are plenty of social media tools available that you can use, to make sure that you can handle the job once you start gaining followers. I made a reference earlier in this article to my article on social media management tools. Take a look and pick which one would work for you best. You’ve got plenty of room to be creative and compelling even with 280 characters. Believe me, I constantly do it. If you’re still having a hard time coming up with compelling content ideas, my team and I can help. Just drop us a line. A couple of things that can especially drive up engagement at this point in your Twitter life are polls and hashtags. Take advantage of the Twitter Poll function so you can ask for product/customer service feedback or your followers’ opinions about your brand. This gives them a platform to let you know what they think, and you, in turn, get to have a better grasp of how your followers behave. It’s a win-win! Next, use hashtags properly. Before it became a cultural phenomenon, it was added at the end of a tweet to give conversational context. That has changed today. This is the most misunderstood and misused communicative device in the Twitterverse (haha– another piece of Twitter terminology that I’ve subtly worked in). A hashtag is like an at-mention but instead of indicating a person, it indicates a context for what the tweet is about. It lends the tweet to a greater conversation happening around that subject. In the example above, the author (CatalystLeader) was quoting AndyStanley and they wanted to signify that it was a quote from the event #CatWest (which is short for Catalyst West). This is the most common practice for hashtags, though it’s not limited to events. A hashtag is simply a way of giving a context to what is being said. Hashtags are often seen amongst Twitter’s Trending Topics (a list of the most tweeted words or phrases– just gave you another bonus term! Bam!). Although today people use hashtags more whimsically, and sometimes carelessly, they’re still a pillar of strategic Twitter marketing. Great! We’re almost to the end. Last but definitely not the least—you need to monitor your campaigns and measure the results. After all, what good is a strategic marketing plan if you can’t tell whether it’s working or not? Plenty of things can go wrong if you don’t monitor the performance if your campaigns. I mean, people could be hating your posts right now and blocking you! Monitor your keywords – Using social listening tools such as Agorapulse can help you track when people mention your brand without actually at-mentioning you. Track ad conversions – If you invested in ads, use Twitter Analytics Conversion Tracking so you can see if any of them reached your actual audience. Also, see if they went to your site, purchased, or downloaded a lead gen tool. You’re investing in ads, might as well lead them to somewhere that can generate you revenue! Find the right time for posting – Nailing down the right time for posting on Twitter is tricky. A huge part of this is location, especially if you cater to a global audience. Use the social media tools I wrote about so you can schedule when to post your tweets. Keep a keen eye on these metrics so that you can identify trends and make adjustments to your strategy as needed. Measuring your results would allow you to see if you’re going the right track or if you need to pivot immediately. But be sure you’re also recording them for long-term analysis. Twitter analytics will be instrumental in doing this (so get in there if you haven’t already! ), but you can also use Google Analytics especially if you’re using social media to drive traffic to your website. Are your tweets aligned with what your users want? Under the Audience tab on Twitter Analytics, look at the Demographics, Interests, Mobile Footprint, and Consumer Behavior. Say, your audience is interested in sports. If that aligns with your business, it’s simple: go tweet something about it. Are they engaging with you? 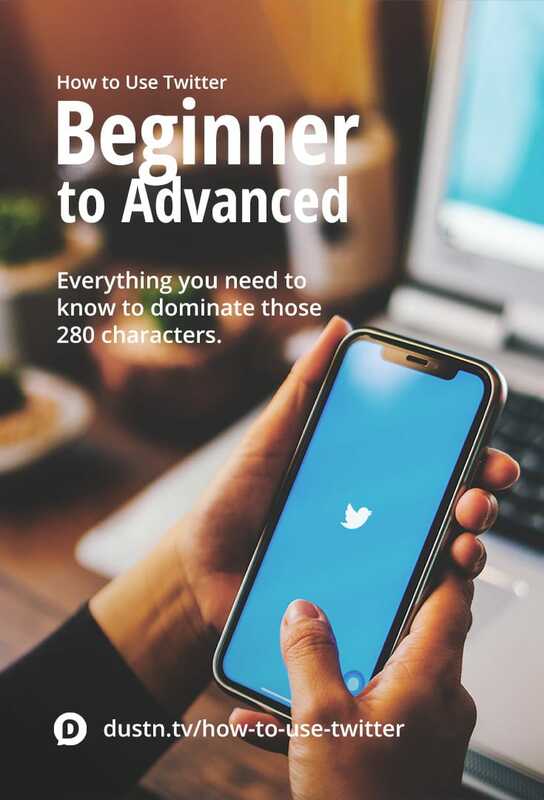 Like I said way up top of this guide, engagement is key especially for a budding Twitter brand. Look at which of your posts get the most retweets, replies, or likes. Find the trend among those and replicate the successful ones. Then, evaluate your engagement rate over time. Are you reaching your audience? On Twitter analytics, you can see this in the Home tab. Look at the growth in impressions, profile visits, and organic mentions. Are your followers converting? 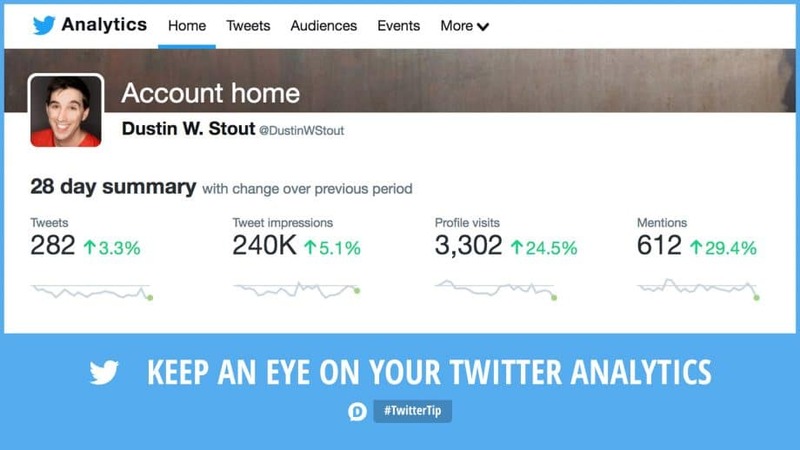 Click on the Conversion tracking tab to see if your tweets are driving people to action. With the help of website tags, you can track click-throughs and other data to better pinpoint audience behavior. Use this in conjunction with your Google Analytics to determine if your CTAs need improving. Play around with Twitter Analytics; you’ll find the numbers surprising at times, but always enlightening. The idea here is to go deep with the data and analyze how else you can improve your campaign. Lastly, and I hope this won’t happen to you, but PR disasters do happen. Remember when singer Susan Boyle tweeted a promo for her album by using the hashtag #susanalbumparty? Yikes. 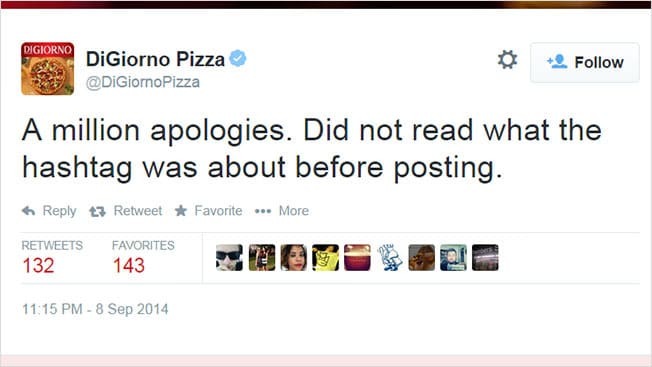 How about when DiGiorno Pizza tried riding the #WhyIStayed trend and failed miserably? What I’m saying here is to also have a crisis communication plan in place, especially in the age of social media where screenshots immortalize mistakes and the backlash is swift. And there you have it! A crash course in this weird, enigmatic world that is the Twitterverse! 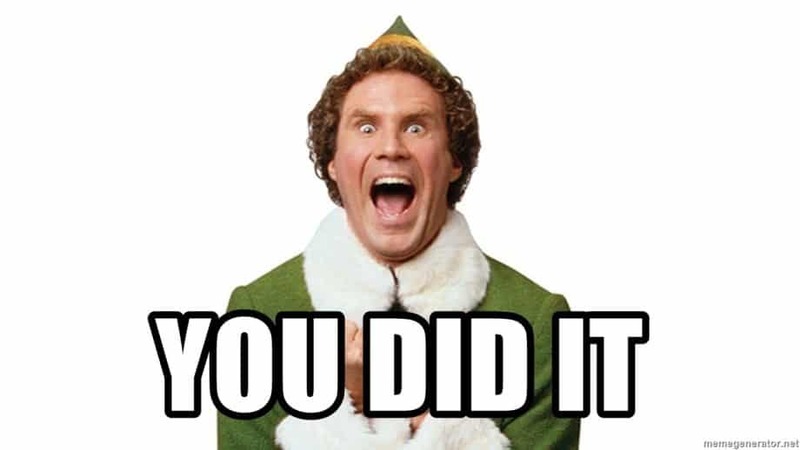 Congratulations, you made it through! Was this helpful in any way, or was it just a bunch of mumbo-jumbo? What are some other questions you have that I haven’t answered? You can leave a comment by clicking here. This is a really comprehensive overview! Thanks for putting this together. Really helpful stuff, Dustin. I’ve been wondering about whether or not Twitter is still a viable place to grow an audience. I’m over Snapchat and wanted to explore some other networks to see if there’s anything there for me. Have you used Twitter chats? Do you think they’re worth the effort? Thanks for stopping by, Henry. What does a “conversion” look like for you?